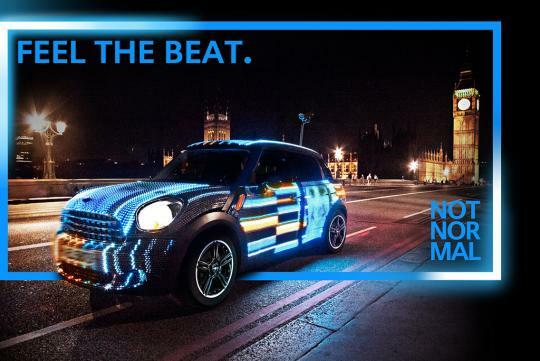 An illuminating new project from MINI has been unleashed onto the streets of London: MINI Art Beat. Driven by your Style. 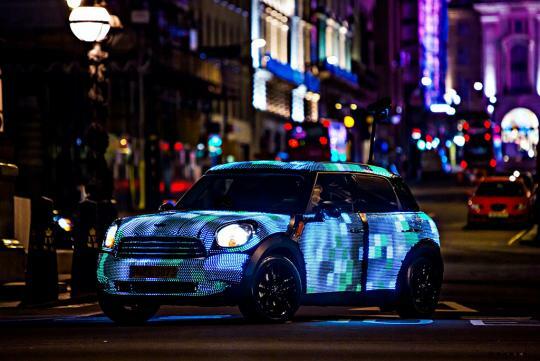 Always the innovator, MINI showcases interactive and digital design with a truly one-of-a-kind MINI Countryman custom-fitted in a stunning 48,000 LEDs. The result is the most vibrant and customisable 'NOT NORMAL' ride you'll ever lay eyes on. But MINI Art Beat isn't just brightly coloured eye candy. It's your vehicle to bright fame. 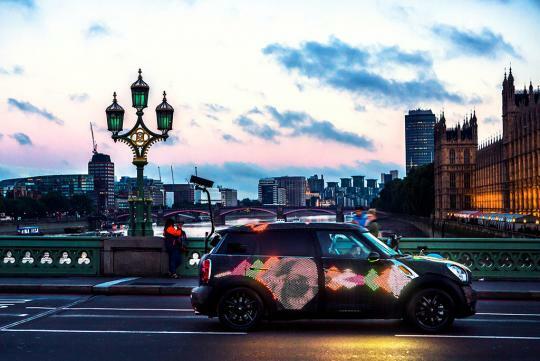 Stream your own live animation directly onto its glowing LED surface as the compact crossover takes nightly cruises through London. City passers-by and the entire World Wide Web will see your personalised style light up the mobile canvas. Stream your own short video direct to the MINI Art Beat car using the Facebook app, or by tweeting your Vine videos with #MINIartbeat. Then add a customised design and beat to get your face in lights. Not sure how to go about doing it? Follow the instructions in the video below. Now, if MINI picks your submission, you'll get a custom clip as a takeaway - a real piece of MINI, just for you. So grab your shades as the lights are on. 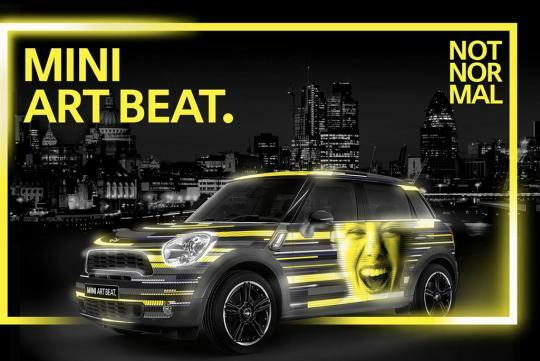 If you want your style and beat on the streets of London, get on MINI Art Beat here. See the video below for a sample. As much as this funky idea looks uber cool, we reckon it wouldn't really work locally as the car would probably be stuck in the traffic jam.